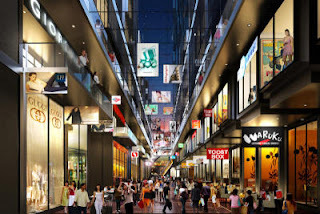 Artist’s impression of Gourmet Street in Icon City, Petaling Jaya. Sutera Avenue in Sabah will be inspired by Gourmet Street. Property developer Mah Sing Group Bhd's managing director and chief executive Tan Sri Leong Hoy Kum is excited about the group's first property venture in Sabah. “With our prime and very visible location in Kota Kinabalu's central business district (CBD), coupled with our planned offerings which meet market demand, we are very excited about the prospects of this new market,” he told StarBizWeek. On March 26, Mah Sing had told Bursa Malaysia its wholly-owned subsidiary Capitol Avenue Development Sdn Bhd had entered into an agreement with Paduan Hebat Sdn Bhd for the proposed joint development of 4.26 acres of prime leasehold commercial land in the Sembulan District of Kota Kinabalu. The land is located along the coastal highway in the CBD. Paduan Hebat agrees with Capitol Avenue to jointly develop the land for RM39mil or about RM210 per sq ft.
Capitol Avenue was also granted an exclusive option to jointly develop with Paduan Hebat 4.408 acres at RM216 per sq ft or about RM41.5mil. The option is exercisable by Capitol Avenue within six months. According to Mah Sing's statement, the land is located opposite the five-star Sutera Harbour Resort and KK Times Square, and has direct road frontage to the Coastal Highway, one of Kota Kinabalu's main thoroughfares. Other landmarks nearby include the Sabah Umno building, Ming Garden Hotel and Asia City. The land will be the southern entry point to the CBD from the Kota Kinabalu International Airport, which is only 3.9km away. The estimated gross development value is RM360mil for the 4.26 acres and RM470mil for the 4.408-acre option land. Tentatively called Sutera Avenue, the proposed joint development will comprise multi-storey shop offices fronting the Coastal Highway with street mall retail lots and serviced apartments. The joint development is expected to commence by the first half of 2013, and the 4.26 acres and 4.408-acre option land are expected to be developed over five years. 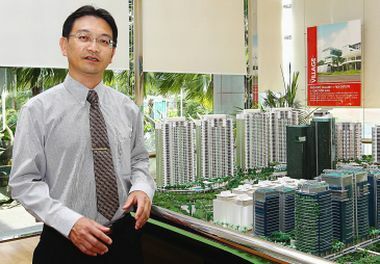 Mah Sing says the shop-offices with generous lot sizes will incorporate a new and unique concept (inspired by Mah Sing's 30 Jewels and Gourmet Street shops in its flagship Icon City project in Petaling Jaya) that will appeal to business owners, investors and future tenants. The retail units will be designed for food and beverage outlets, and a street mall retail concept, in synergy with the shop-offices. According to Mah Sing, demand for the development will result from the vibrancy of Sabah's economy which has benefited from the wealth of natural resources including oil palm, timber and oil and gas. It also notes that there is a high population base, as Kota Kinabalu together with the surrounding towns of Penampang, Tuaran and Kota Belud has a population of about 800,000. According to a report by consultancy CH Williams Talhar & Wong Sdn Bhd (WTW), major condominium developments launched in Kota Kinabalu's CBD have seen new benchmark prices. Projects launched last year included 441 units of The Loft @ The Mall, priced from RM650 to RM820 per sq ft, and 333 units of Jesselton Residences, priced from RM630 to RM930 per sq ft.
“Also, 2011 saw the completion of condominums Alam Damai, Peak Vista and Hartamas Heights. Alam Damai, which was previously launched at RM230 to RM300 per sq ft, has reached RM400 per sq ft and above in the secondary market,” says the WTW report. In addition to increasing land costs and scarcer choice development lands, the hype on condominiums is also spurred by the favourable economic climate backed by earnings from good palm oil prices over the last few years. The report also notes that the existing supply of purpose-built office space in Kota Kinabalu currently enjoys high occupancy rates of 91% due to the lack of new supply and the conversion of some office buildings to hotels in the last one to two years. Rents and values are rather stable although there are some upward movements in rents and values for prime and newer office buildings within the CBD. “We are opened to landbanking or joint venture opportunities that fit our business model and have been scouting for land in Sabah, especially in Kota Kinabalu for some time. As an established property developer with 38 projects in Greater Kuala Lumpur, Penang, Johor Baru and now, Sabah, we have a wealth of know-how and a broad base of good consultants, both local and international, who can help to add value to the project,” says Leong. Leong also points out that Mah Sing Group's land consideration in the Sabah venture was quite reasonable. He also points out that the land consideration is less than 10% of the gross development value of Sutera Avenue, which is estimated at a combined RM830mil. (With gross land, land area has to be allocated for roads, infrastructure, open space, setbacks and land to be surrendered back to government [if required]). This means about 30% land area can be saved when the nett land is developed. In other words, the developer has 30% more saleable land area). 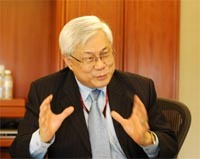 Leong also says the Sabah venture fits well into the company's quick turnaround strategy. 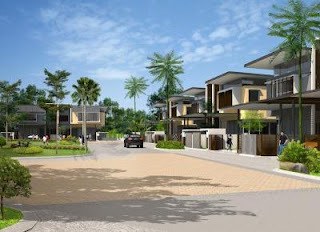 Artist’s impression of semi-detached homes in I&P Group’s Temasya Glenmarie mixed development in Shah Alam. PROPERTY developer I&P Group Sdn Bhd has recorded strong take-up rates for its recent launch of freehold landed residential homes in Shah Alam, latching on the scarcity of new landed residential properties being brought to the market. In the last two weeks of March, the group has launched 154 units of Citra double-storey superlink and 60 units of Anggun double-storey semi-detached homes at the 200-acre Temasya Glenmarie mixed development. About 90% of Citra has been sold, while Anggun recorded 100% take-up rate. Property consultants tell StarBizWeek that the strong response to the recent Temasya Glenmarie launch was not surprising, in view of the limited supply of new landed-residential units in “hot spots” within the Klang Valley. 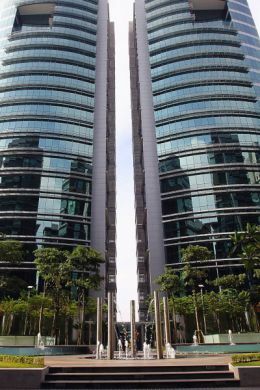 Temasya Glenmarie, which has an estimated GDV of RM2.4bil, is located 37km west of Kuala Lumpur and is within close proximity to Petaling Jaya, Kelana Jaya and Subang Jaya. “Some buyers have bought for their own use, while others would be looking at obtaining decent capital appreciation,” says KGV International Property Consultants director Anthony Chua. “For the next 12 to 18 months, we still see strong demand for new launches of landed residential units in the Klang Valley, depending on the type of property and location,” says Chua. A bank-backed property analyst concurs, and points out that Temasya Glenmarie appealed to well-heeled buyers. However, he points out that it was not known as to how many of the sales and purchase agreements (S&Ps) signed would translate into actual sales, as buyers would still need to get approvals for loans. The analyst also points out that despite credit-tightening measures as a result of Bank Negara's responsible lending guidelines, there was still a situation of high liquidity in the market. In his opinion, the current situation was not healthy as the credit-tightening measures might penalise many genuine property buyers who were buying for their own use. The Citra and Anggun units have total gross development values (GDV) of RM215.2mil and RM145mil respectively. The Citra units come in two types. 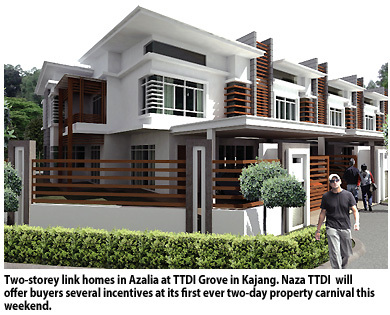 Type 2A has a built-up ranging from 2,839 sq ft to 4,160 sq ft and priced from RM975,888 to RM1.7mil. Citra type 2B has a built-up ranging from 4,839 sq ft to 6,220 sq ft and are priced from RM1.6mil to RM2.7mil. Meanwhile, the Anggun double-storey semi-detached homes have a built-up about 4,000 sq ft and are priced between RM2.34mil and RM3.55mil. 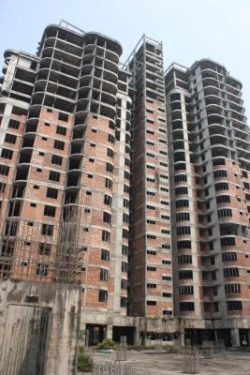 The homes are expected to be completed in March 2014. I&P Group says that the 200-acre Temasya Glenmarie had a tagline of “Space to Live. Live with Space”, and all units come with large built-up areas. “The township comes with a standard 100-ft wide road frontage and 60-ft wide beautifully-landscaped back roads,” states I&P Group. Nearby amenities include the Empire Shopping Gallery, Subang Parade shopping centre, Subang Jaya KTM Komuter station as well as Glenmarie Golf & Country Club, Saujana Golf & Country Club and the Holiday Inn Glenmarie. Temasya Glenmarie is also accessible via major highways like the Federal Highway, North Klang Valley Expressway, New Pantai Expressway, North-South Central Link and Guthrie Corridor Expressway. The Malaysia Building Society Bhd (MBSB) plans to disburse close to RM500 million loans through its My First Home Scheme campaign this year. 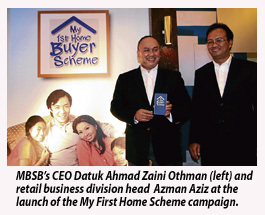 Its chief executive officer (CEO) Datuk Ahmad Zaini Othman said if the reception towards the scheme, which is aimed at first-time home buyers, was good, MBSB would increase its target to up to RM1 billion. "We hope this will provide relief to the targeted group, who are mainly newcomers to the workforce and facing challenge of rising costs of living and properties in the country. "This scheme is definitely in support of the government's call and Prime Minister Datuk Seri Najib Razak's aspiration to promote home ownership among younger generation in Malaysia," he told reporters after launching the My First Home Scheme campaign here yesterday. Ahmad Zaini said the scheme was designed to allow eligible Malaysians under 35 years old to buy their first house up to a ceiling price of RM500,000 and at a 100 per cent margin of financing, offering an exemption of the normal 10 per cent down payment. On another matter, Ahmad Zaini said MBSB was on track to establish itself as a full-fledged development bank. "For the past three years, we have been closing some important gaps. We need certain approvals from Bank Negara Malaysia and shareholders' endorsement to move on. "This may be realised this year or even next year. Even if you look at our products, we are offering financial products similar to banks. "The gaps are very small now. We will continue to push our efforts to convince the shareholders, the central bank and the authorities," he added. Ahmad Zaini also said that MBSB was planning to open seven to eight more branches nationwide this year from 36 currently. KUALA LUMPUR: Bolton Bhd is embarking on its first build-then-sell residential development with a gross development value of RM80mil on a 2.34ha site in Setapak. The company has entered into an agreement with CRSC Property Sdn Bhd to develop 70 three-storey superlink terraced houses on the leasehold site, which is part of an ongoing 26.97ha residential and commercial development in Taman Sri Rampai. Under the agreement with CRSC Property, Bolton will construct and complete the development by February 2015. “We expect this project to be a quick turnaround for Bolton as the land is currently vacant and ready for development,” said executive chairman Datuk Mohamed Azman Yahya in a statement yesterday. He said Taman Sri Rampai was a sought-after mature township, which enjoys good accessibility to the city centre via several major highways. “As this project is a landed development, this would ensure that the property would enjoy healthy capital appreciation upon its completion,” he added. PETALING JAYA: Bandar Raya Development Bhd (BRDB) will proceed with the proposed disposal of BR Property Holdings Sdn Bhd, CapSquare Retail Centre and Permas Jusco Mall via a tender exercise. In a note to Bursa Malaysia yesterday, BRDB said its board noted that while Ambang Sehati Sdn Bhd, its second largest shareholder, is still evaluating its plan to increase its stake in the company (which may or may not result in a general offer), the latter has yet to confirm its decision to proceed with the exercise. BRDB said it was working with its legal and financial advisers to implement the proposed disposal in an efficient manner. 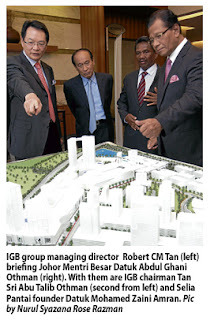 PETALING JAYA: IGB Corporation Bhd will be signing a non-binding Memorandum of Understanding (MoU) with Selia Pantai Sdn Bhd for the proposed establishment of a 70:30 joint venture (JV) to acquire and develop three vacant parcels of leasehold land situated in Johor into a retail mall and / or mixed development. IGB told Bursa Malaysia today that the MoU shall remain valid for 30 days except as otherwise mutually agreed in writing by the parties. “Full announcement of the proposed JV will be made in the event the parties have executed a joint venture agreement which shall constitute the definitive documentation providing the details in respect of the matters broadly set out in the MoU,” the company said. The merger of UEM Land and Sunrise Bhd in early 2011 had provided a much-needed boost to the company, which now has property developments in Canada and management projects in Singapore. UEM Land Holdings Bhd hopes to seal joint venture (JV) deals with major property developers in India, Vietnam and Myanmar by year-end, as part of its aspiration to become a global property player by 2015. Managing director (MD) and chief executive officer (CEO) Datuk Wan Abdullah Wan Ibrahim said the company is now in discussions with the developers. "It will be good if we can ink a deal with each party by year-end. Our aim is to have a strong regional presence," he said yesterday. Wan Abdullah said UEM Land, which is the property development arm of state-owned Khazanah Nasional Bhd, has big targets as it approaches 2015 and 2016. By then, it hopes to achieve a much higher revenue and net profit, with more land in its pocket, he said at the MIDF Investment luncheon talk. Also present were UEM Group Bhd MD and CEO Datuk Izzaddin Idris and MIDF group MD Datuk Mohd Najib Abdullah. The acquisition of Sunrise had increased UEM Land's landbank in prime areas of central Kuala Lumpur, Mont Kiara and Seri Kembangan. 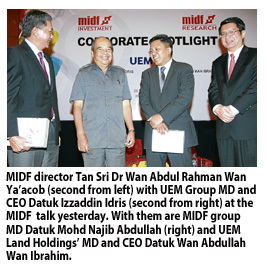 For the financial year ended December 31 2011, UEM Land posted a net profit of RM301.7 million on revenue of RM1.7 billion, up 55.1 per cent and 261.5 per cent, respectively, from 2010 financial year. 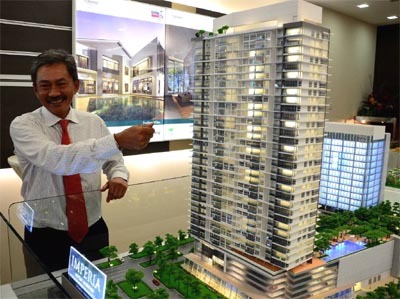 UEM Land's headline KPIs (key performance indicator) for 2012 is to launch RM4.5 billion worth of projects and achieve property sales of RM3 billion. "We are looking at net profit growth of 40 per cent, and return of equity of 10 per cent. 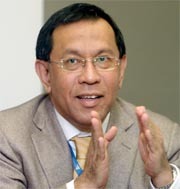 By 2015, you can imagine the numbers we are targeting," Wan Abdullah said. 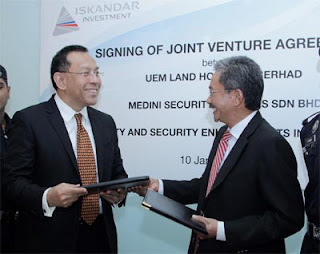 UEM Land's current projects include East Ledang and Puteri Harbour in Nusajaya, Johor; Symphony Hills in Cyberjaya; 28 Mont Kiara, Arcoris Mont Kiara, Angkasa Raya and Summer Suites in Kuala Lumpur; and Quintet in Richmond, Canada. Its partners for some of the developments are Bandar Raya Development Bhd, Sime Darby Bhd, UM Land Bhd, Gamuda Bhd, MCL Land and Emkay Group. Wan Abdullah also said that UEM Land is looking for more strategic partners to undertake land development in Nusajaya, especially at the Southern Industrial & Logistics cluster to up the ante. 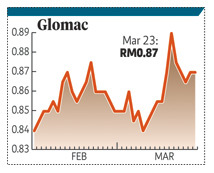 PETALING JAYA: Glomac Bhd posted a higher net profit of RM21.9mil for its third quarter ended Jan 31, 2012, up 32.7% from RM16.5mil recorded in the previous corresponding quarter. Revenue decreased to RM145.2mil from RM176.5mil previously. For its nine-months ended Jan 31, 2012, the company achieved a net profit of RM63.5mil, a 32.2% increase, compared with RM48mil previously. Revenue dropped to RM407.9mil from RM443.7mil. 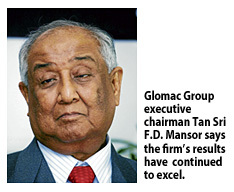 In a statement, Tan Sri Datuk FD Mansor said the company was riding on a healthy growth momentum. Not only have our results continued to excel, we chalked up property sales of RM343mil in this nine-month period. “We're well on track to achieve our target sales of RM500mil for the whole financial year,” he said. The group is also preparing for the upcoming launch of its 39-storey Reflection Residences, a freehold serviced apartments project with a gross development value of RM270mil in Mutiara Damansara. “We have also built up a substantial war chest,' allowing us to seek out opportunities for new landbank acquisition to maintain the growth strategy in our development business.” he said. The company recently acquired two parcels of leasehold land totaling 80.94ha for RM44mil, which is adjacent to Bandar Saujana Utama. KUALA LUMPUR: GuocoLand Malaysia Bhd expects a firm yield of 18% from the recent related party transaction to purchase PJ City Development Sdn Bhd and PJ Corporate Park Sdn Bhd from Guoline Asset Sdn Bhd and MPI Holdings Sdn Bhd respectively. GuocoLand’s shareholders yesterday approved the resolution at an extraordinary general meeting held at Wisma Hong Leong because of the good prospects of these developments given their locations, its senior public relations manager, Leslie Lim, said. “The company (GuocoLand) expects per annum returns of 18% from these developments and of course this will be dependent on the economic situation as well,” Lim told StarBiz, citing some research documents. After the approvals, GuocoLand will proceed and buy PJ City for RM29.79mil from Guoline Asset; and will then purchase PJ Corp from MPI Holdings for RM258,000. These companies house developments which are mainly parked under PJ City, including commercial land of 3 acres which already has existing buildings on them as well as an industrial land of 7.75 acres fronting Jalan 225, PJ. GuocoLand said it would develop the industrial land for factories after tenancy agreements for the open air carpark and the cement batching plant expires on March 31, 2012. The purchases of PJ City and PJ Corp would be funded entirely from borrowings which would increase its gearing ratio basing on its shareholders’ funds from 1.13 to 1.20, the shareholder statement said. The purchase of PJ City also took into consideration the unaudited net tangible assets (UNTA) of PJ City of RM8.77mil as at Oct 31, 2011 and after adjusting for the total market value of the land at RM72.5mil, it said. 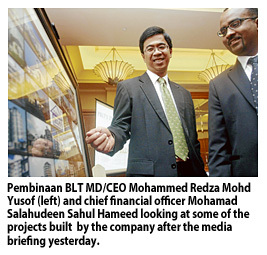 “Guoline Asset is a wholly-owned subsidiary of Hong Leong (Co) Malaysia Bhd (HLC) and its original cost of investment in PJ City was RM5mil,” it added. The purchase of PJ Corp also took into consideration of the UNTA at RM258,375 as at Oct 31, 2011 while there was no valuation had been undertaken on the two units of low-cost houses owned by PJ Corp.
MPI’s original cost of investment in PJ Corp was RM265,000 which was made on May 4, 2011. 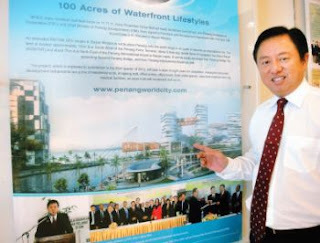 PETALING JAYA: Perak Corp Bhd subsidiary PCB Development Sdn Bhd has entered into a heads of agreement with Sanderson Project Development (Malaysia) Sdn Bhd (SPDM) for a joint venture to develop and operate an international standard animation theme park, resort hotel and serviced apartments in Ipoh. 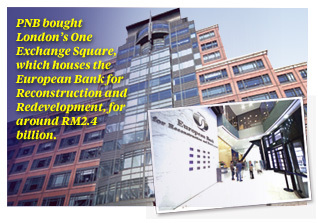 The project has a gross development value of RM506.7mil. Perak Corp told Bursa Malaysia yesterday that the intended equity participation in the joint venture shall be 20% to be held by PCB Development and the balance 80% by SPDM. “SPDM will negotiate with third parties in relation to raising funds for the JV to develop the project,” it said. 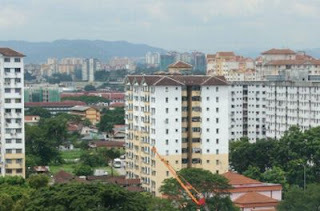 PCB Development is the land owner and developer of BioD City at Bandar Meru Raya, Ipoh. BioD City is a master-planned development comprising residential, commercial, retail and leisure precincts. SPDM is a special-purpose vehicle set up particularly for the project by Sanderson Group Pty Ltd group of companies, which is engaged in the design, construction and operation of international tourist and leisure destinations around the world. “The rationale of the project is to fulfil the BioD initiative development as well as to complement the developments of BioD City and BioD Eco-Tourism undertaken by the PCB Group to facilitate the national strategic policies providing various conducive environments for optimal economic growth,” Perak Corp said. The heads of agreement will enable the contracting parties to negotiate on an exclusive basis the formation of the joint venture for the purpose of developing and operating the project. The joint venture will enter into a turnkey construction contract with SPDM, or a company under the Sanderson Group, to provide turnkey construction services to develop the project which will include the design, fabrication, construction, project management and operations establishment of the project. IPOH: Perak Corp Bhd (PCB) says its unit, PCB Development Sdn Bhd, has teamed up with Sanderson Project Development (Malaysia) Sdn Bhd to develop an animation theme park, resort hotel and serviced apartment here with a gross development value of RM506.7 million. In a filing to Bursa Malaysia, PCB said a joint venture would be formed between the two partners, with PCBholding a 20 per cent stake and Sanderson Project the balance. PCB is the developer of BioD city at Bandar Meru Raya here, a key development comprising residential, commercial, retail and leisure precincts. Sanderson Project is a special purpose vehicle set up particularly for the Perak venture by Sanderson Group Pty Ltd.